First of two health screenings being hosted by the Handley Regional Library System. Services provided by the Sinclair Health Clinic. 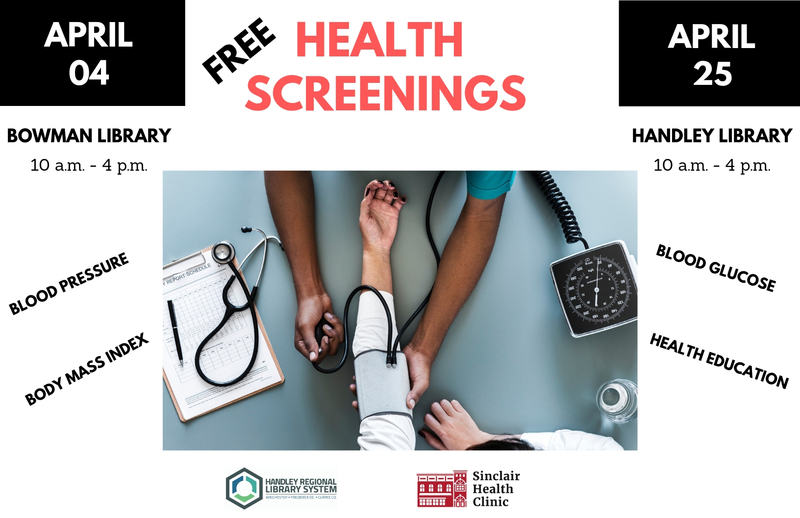 Both screenings will run from 10 a.m to 4 p.m.
Free screening services will include:blood pressure, blood glucose, body mass index and health education. A cholesterol test is available for a fee. Services are provided to those 18 years of age and over. Additionally representatives from Child Care Aware Virginia will be present to explain their services.